NICOLE.ie | Nicole Drought Wins Irish Sportswoman of The Year. 12 Jan Nicole Drought Wins Irish Sportswoman of The Year. Roscrea’s Nicole Drought, 22, was today announced as the winner of sportswomen.ie’s “Sportswoman of the Year 2016. Despite only having made her Motorsport debut two years ago, Nicole has enjoyed plenty of success, becoming the first woman to be nominated for the Motorsport Ireland Young Driver Award in 2015, the first woman to win in Irish Touring Cars in 2016 and qualifying on the front row of the grid for her sportscar debut in Anglesey in North Wales when she joined the Global GT Lights for a round of their championship. Her 2017 plans will be announced shortly but Nicole intends to switch to sportscars with the intention of ultimately chasing a career on the European or World stage. 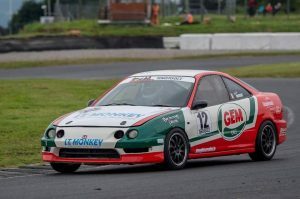 Nicole was a winner in Irish Touring Cars in 2016, driving her Gem Oils, IT Monkey and Stapletons Bakery backed Honda Integra. 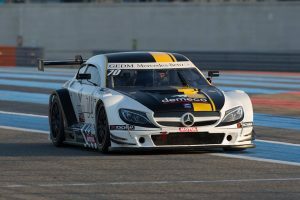 Nicole travels to France in the new year to test a 370bhp Sprint Serie machine. She may compete in selected rounds of the 2017 series, should her calendar commitments allow. Nicole Drought, 22, is a native of Roscrea in Tipperary. A former All Ireland winning Camogie Captain, she made her motor racing debut in 2015, driving a 250bhp Honda Integra in the Irish Touring Car Championship. In 2016, she became the first Irish Ambassador for the Sean Edwards Foundation and accepted their invitation to travel to Le Castellet in France to test a GT3 Porsche 911. Also in 2016, became a member of the Murphy Prototypes Young Driver programme and attended an ELMS race in France with the Irish based European sportscar team. Nicole is a final year student of Law and Business in The University of Limerick. 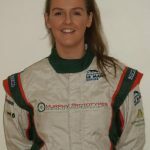 In December 2016, Nicole was voted sportswomen.ie Irish Sportswoman of The Year, taking a massive 20% of the public vote- the first for a racing driver against far higher profile sports. For further information or hi res images of Nicole, please contact Leo Nulty on 087-6693946 or mail [email protected].